Why Choose Super Sheds for Custom Built Sheds & Garages? The expert builders at Super Sheds build superior custom sheds in Chilliwack, BC, and the surrounding areas. By using only the highest quality materials and being thorough, we are able to ensure customers feel that their possessions are safe and secure when locked away. All of our sheds for sale are built “on-site”, which enables homeowners to observe the hard work and care we put into each of our custom built sheds. Chilliwack has a ton of run-of-the-mill builders, but none that provide the excellence in workmanship that we provide to every one of our clients. Super Sheds has the ability to design and build a completely decked out shed to satisfy your dreams and needs. Your options are limitless. Whether you’re looking to buy a simple shed for your backyard or a custom built shed that is unique to your yard only, all of our projects are assembled using only the very best materials. Each of our carefully constructed structures is built out of 2×4 materials, but we do offer the option to upgrade to a thicker floor or walls if that is preferred. Our custom built sheds also require no foundation, which means when you buy sheds from us it will be not only long-lasting but portable too! All that we recommend having is a gravel base for the shed to rest on. 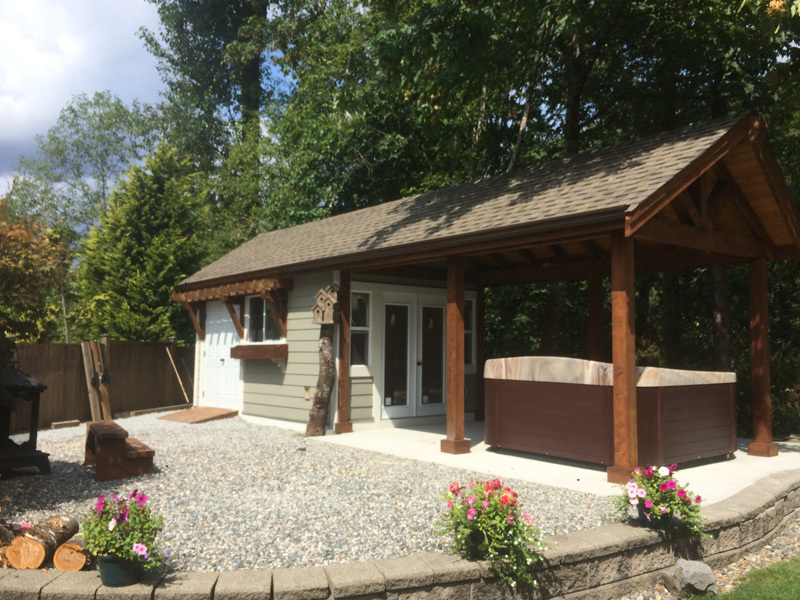 Proudly adding value to the community by building custom built sheds, shops, retreat cabins, hip roof barns, yard storage and more in Chilliwack and Abbotsford, Super Sheds has the experience to create the dream shed you’ve always wanted. 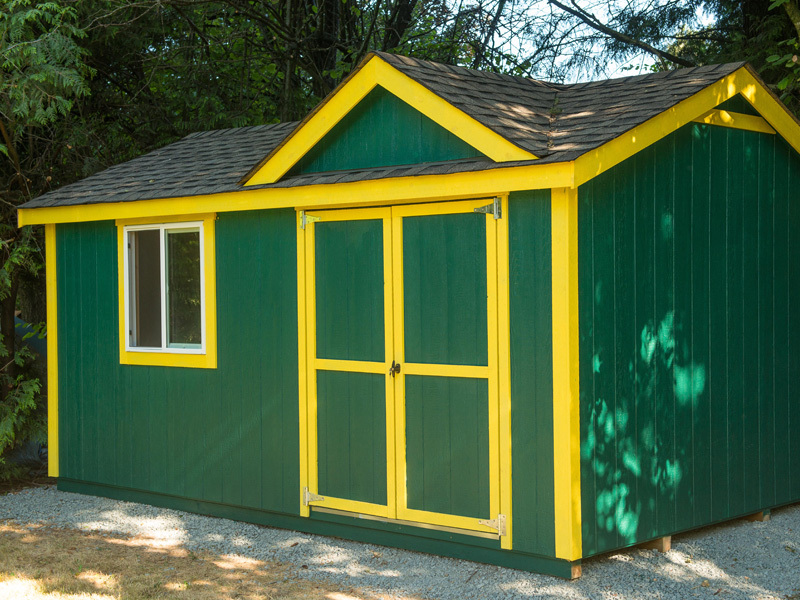 With endless optional upgrades to choose from like, finishing the exterior with smart side, cedar siding, wood shakes, hardiplank, or metal, it’s clear why our sheds are the best custom sheds Chilliwack and the surrounding areas have to offer. To learn more about our Chilliwack Sheds, request your free evaluation by filling out the form below. "If you are looking for superior service and second-to-none quality workmanship for a garden shed, look no further than Super Sheds. When we needed a roadside stand built to sell our fresh produce, I called John Kerkhoff. Within one day John came forward with a concept drawing followed by a detailed quote. I was stunned by the value he offered at an extremely reasonable rate. But I was most impressed with his ability to construct my shed in less than a week after I first contacted him. John has helped us market our produce from a professionally built roadside stand. I strongly recommend him to anyone looking for quality, value, and service." "We are thrilled with our new little shed (cubby as we call it). We needed some storage space as well as a few extra beds for our recreation home and John built exactly what we needed. We were very impressed with his punctuality, his manners, as well as his knowledge of building. John had the shed up, finished and area cleaned up in an amazing amount of time. We were very impressed with everything John did and would certainly be happy to be used as a reference for John. We will definitely promote John and Super Sheds to anyone we know that requires one built and well built! An amazing young man with a great work ethic." "Your father told us you built sheds so we took a chance. You arrived on time to do the estimate. You were very helpful with plans for the location and size of the shed. On the build day you arrived with all your own equipment and got right to work. Working alone, you built a great shed, to our specs., and finished it on budget and on time. I've never seen anyone complete a project of this size in one working day. Hats off to you and thank you." 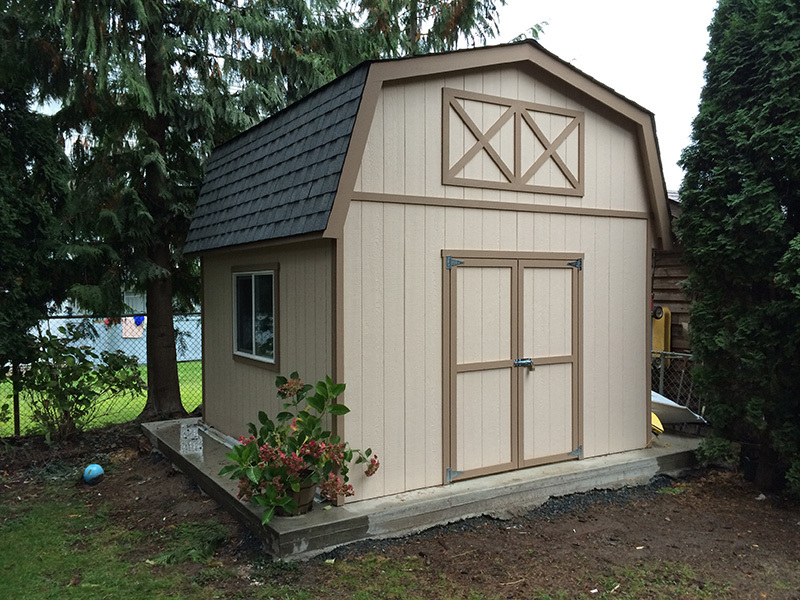 "My wife and I contracted with John Kerkhoff and Super Sheds to build our shed. John was prompt in meeting with us and reviewing the site. He gave us his quote at the conclusion of the meeting and scheduled the work for the following Monday. He arrived on time and completed the job to our total satisfaction in ONE DAY! The shed is exactly what we were looking for and was constructed as required. John was totally professional and courteous in all our dealings. I would very definitely use him again and highly recommend him to anyone wishing to have a shed built." "I contracted Super Sheds to do an estimate regarding having a maintenance shed constructed at our facility. He finished the job in a very timely manner, caused minimal disruption to residents and staff and paid close attention to details such as my concerns, and left no mess or issues behind. Since completion of this job I have highly recommended him to several friends and coworkers and my regional manager as well. I’m very pleased with John’s manners, high level of customer service and work ethic of a high quality product that has obviously come from many years of working closely with his father for his construction company." "Super Sheds is Amazing! John was able to build the custom shed that we needed very quickly and on budget. Super sheds was great during the consultation process. John had upgrade suggestions that improved the look and functionality of the overall project. Once onsite, Super Sheds built the shed quickly and did a great clean-up once the project was finished. The quality of the build was excellent and well worth the cost. We are very happy with Super Sheds and we would recommended them to anyone who wants a quality product with custom touches."